American Standard's AccuClean, AccuExchange and Prefect Air cleaners are all great options for keeping your home air allergen free and fresh. We offer air purifiers that produce cleaner air for you and your family. AccuExchange offers fresh indoor air with around the clock air ventilation. 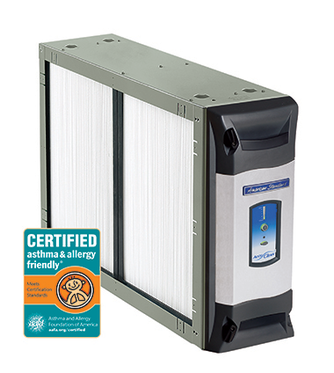 AccuClean offers superior air filtration and is certificated by the Asthma and Allergy Foundation of America. 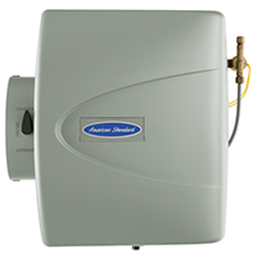 American Standard humidifiers cover homes of any size. With quiet automatic humidity control, consistent year around moisture levels and outdoor temperature monitoring options. We have the right size humidifier for you or your entire family. Target carries a wide array of thermostats to fit everyone's needs. 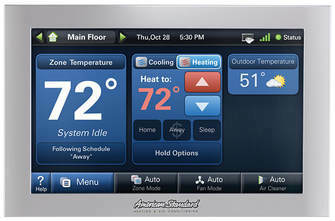 Thermostats with large touch screens, program-ability (for all 7 days), Nexia technology, Wi-Fi connectivity, with Acculink communicating capabilities. You can also schedule reminders for maintenance, filter replacement and your humidifier. Skuttles specially designed filters capture more airborne particles and lasts longer. conditioning and heating system to be automatically and properly charged, configured and calibrated - not just during installation but throughout the life of your investment.